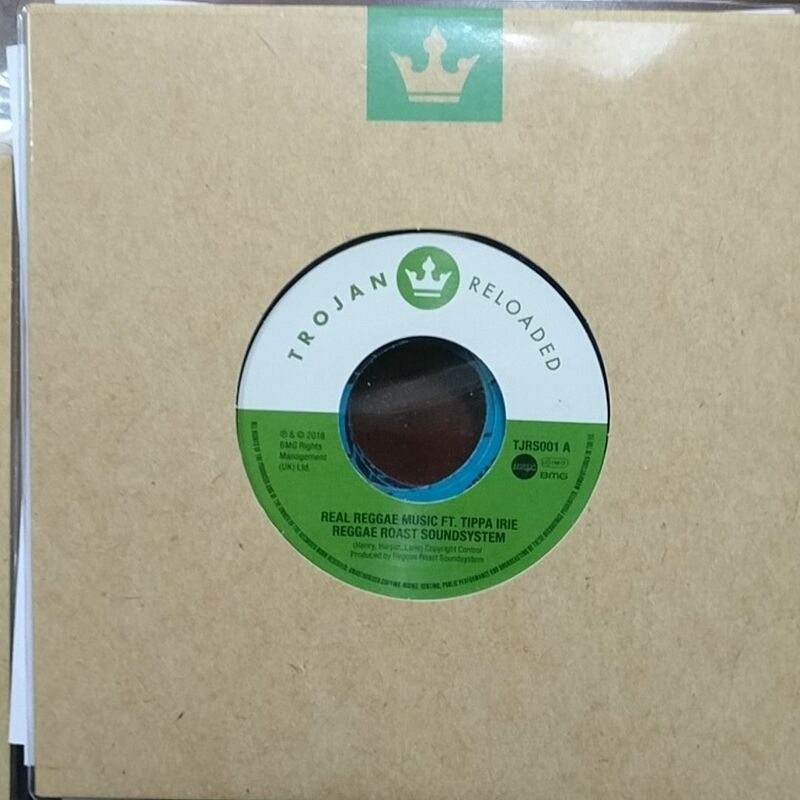 The first physical record to come from the label, Trojan Reloaded are proud to present the forthcoming release of ‘Real Reggae Music’ by Reggae Roast Soundsystem featuring Tippa Irie out July 13th. Tippa Irie is a British reggae singer and DJ from Brixton, South London. He first came to prominence in the early eighties as an MC on the South London reggae soundsystem Saxon Studio International. He achieved his first national exposure on night time BBC Radio 1 in the mid-1980s, with the singles "It's Good To Have The Feeling You're The Best" and "Complain Neighbour", before achieving a UK Top 40 hit in 1986 with "Hello Darling". He enjoyed his biggest success so far in 2003, when he appeared on The Black Eyed Peas' track "Hey Mama". On remix duties we have DJ Madd, who’s main focus is to bring the fusion of reggae music with modern sounds of dubstep to the next level, building up a diverse following who love the old school dubwise sounds with bone-shaking bass. He has received multiple spots on high profile compilations such as 'This is Dubstep' or the Minisitry Of Sound's 'The Sound of Dubstep'. Having spent 10 years pioneering Reggae, Dancehall & Soundsystem culture for a new generation, Reggae Roast are the first signing to Trojan Reloaded, the newly formed sister imprint for the world famous Trojan Records. Format: 7" Vinyl in brown label printed sleeve with transparent plastic outer.